SEO, search engine optimization, is a procedure to get your website to show up on search engines, like Google, for specific keyword searches. A lot of business owners don’t quite know what SEO is and end up being taken advantage of by companies claiming to be expert SEO’s. Keyword placement is where your keywords are on the actual web page. Google usually look for the keywords in page title, body text, headings, links, in images, file names, and drop down boxes and domain names. When you include keywords in the heading and within links, this indicates to search engines that the keyword is of importance. 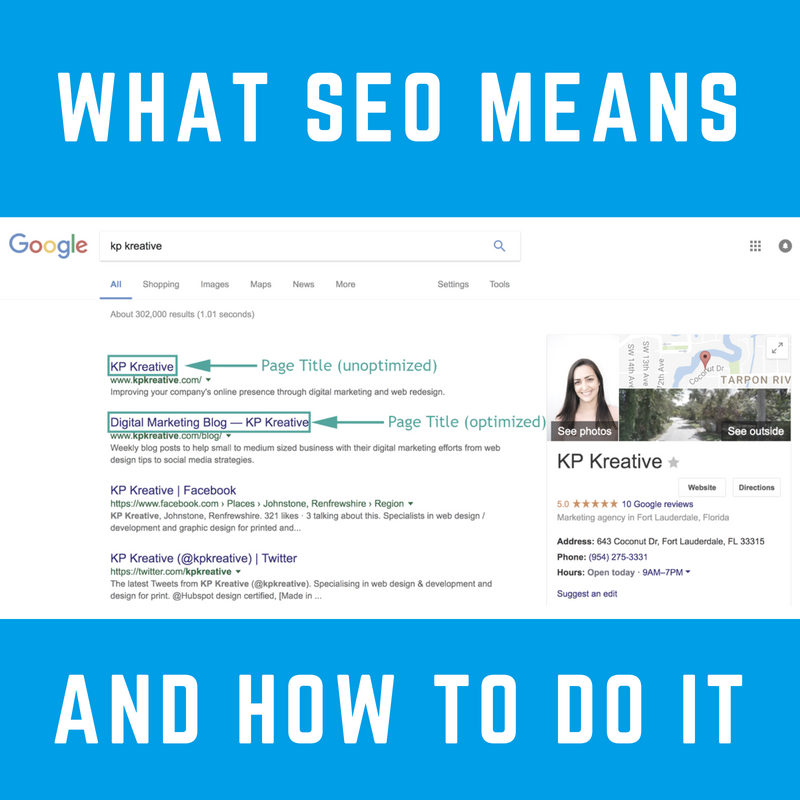 Usually keywords used closer to the top of the page, and within the title are considered the most relevant/important and will help you to show up on Google, Bing, etc. when people are searching for those keywords. The number of times you are using a keyword on a web page in relation to the total amount of words on the page. Five to eight percent keyword density is considered ideal, but the content should look very natural to the readers. After all, the user experience is the only key that Google eventually finds. If you are using keywords in an unnatural way just to get them on the page it will be obvious to your users and to search engines, so make sure you do not keyword stuff! According to experts, the first 4 to 5 words in the URL have more weight. That’s why you should use keywords in the URL's to get best results. You should also avoid keyword stuffing your URL’s. A really long URL is not great for sharing and also not great for SEO. The meta title is what shows up in Google search results for that particular page. An optimized meta title should be between 55 - 65 characters and have the ideal keywords you would like the page to show up for. The meta description is what shows up in Google search results for that particular page. An optimized meta description should be no more than 150 characters and have the ideal keywords you would like the page to show up for. Having relevant outbound links on your web page signals Google that your page include quality information. Again, only do this in a natural way! Search engines cannot see what an image is of, so you should include an Alt tag which is a written description of the image. If you use keywords in your alt tag it can show up in image search for related keyword searches. It is important for the alt tag to actually describe what the image is of, since it is used for visually impaired users. Premium hosting, compressing image sizes and using CDN is the ultimate way to enhance website loading time. The Hubspot website grader tool is a great way to measure your sites performance and discover ways to improve it. These are some of the basic things that will help improve your search engine ranking, but if you want to take it one step further and do it yourself you can take my Search Engine Optimization course on Skillshare.